This rare necklace was made by the famed Parisian house of Froment-Meurice, most likely circa 1860, at a time when the firm was newly under the second generation management of Émile Froment-Meurice (1837-1913). Émile was son of renowned French jeweller François-Désiré Froment-Meurice (1802-1855), described by Victor Hugo as the Cellini of his day, and who is still considered the premier French goldsmith of the nineteenth century. François-Désiré won many international prizes and entertained elite clientele, including royalty from throughout Europe. Émile succeed in the challenging task of maintaining the excellence of his father's firm, becoming an acclaimed designer in his own right. Under his stewardship the firm was awarded a gold medal at the 1867 Paris World Exhibition for its jewellery, the Grand Prix for orfèverie at the 1889 Paris World Exhibition, and he himself awarded the cross of the Legion of Honour in 1869, in addition to numerous other awards throughout the tenure of his management. The present necklace is in a fitted box marked '372 rue St Honoré', a location which the firm occupied from 1856 through the last decade of the century. Based on the design, settings and diamond cuts, this necklace likely dates from the early part of Émile's management. The structure of the linksheavy, repeating oblong openwork silver forms is similar to the later jewels of Froment-Meurice père, and thus was most probably made shortly after his death, when the workshop was temporarily managed by his most trusted apprentices, who were in the process of training Émile until he came of age to take official directorship in 1859. Lattice form diamond and pearl jewels such as this appear to have been popular in France between 1850 and 1870, as exemplified by four pieces all falling within this date range illustrated in Henri Vever's comprehensive tome, French Jewelry of the Nineteenth Century. Furthermore, both the sturdy silver collet settings and the use of old mine and rose cut diamonds act in tandem to suggest a date of manufacture closer to the mid-nineteenth century. On the reverse of the fitted case is a stamp upon which is written in ink 'Madame de Mandiargues', referring to former owner Bona de Mandiargues (1926-2000), née Tibertelli de Pisis, the Italian Surrealist painter. 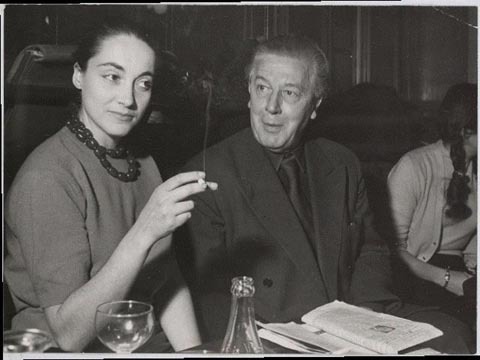 On a trip to Paris in 1947 she met the Parisian Surrealist writer and poet André Pieyre de Mandiargues (1909-1991), whom she married three years later. Notwithstanding their own successes, both Bona and her husband were closely associated with some of the most important artists and writers of the twentieth century, including Henri Cartier-Bresson, André Breton and Octavio Paz. Valérie Goupil, 'La Madeleine ou le plus bel écrin des Froment-Meurice', La Tribune de l'Art (online), 17 July 2005.